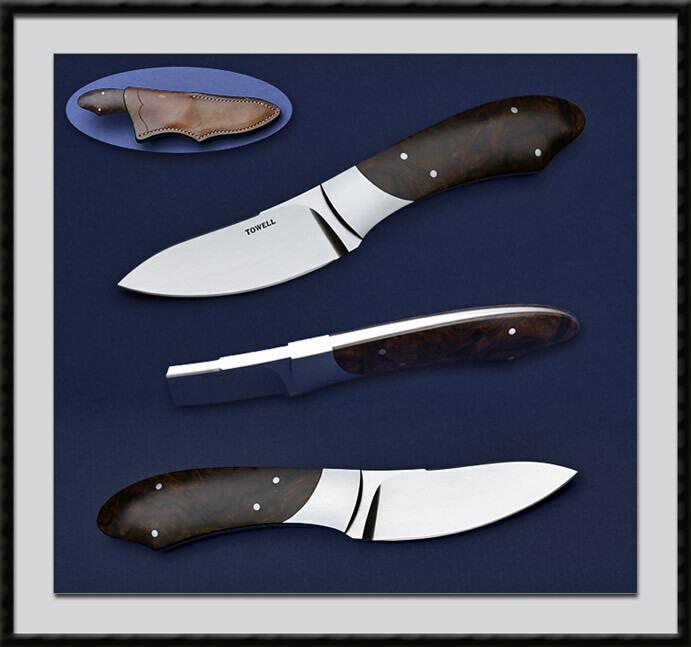 Guild member Dwight L. Towell has crafted this Semi-Skinner, Mirror finished Hollow Ground ATS-34 blade, BL = 3”, OAL = 7 1/16", Stainless Bolsters, Sculpted chocolate brown Ironwood scales accented with 4x SS pins. Comes with the custom Top Grain leather sheath pictured made by Dwight. Condition is Pristine.